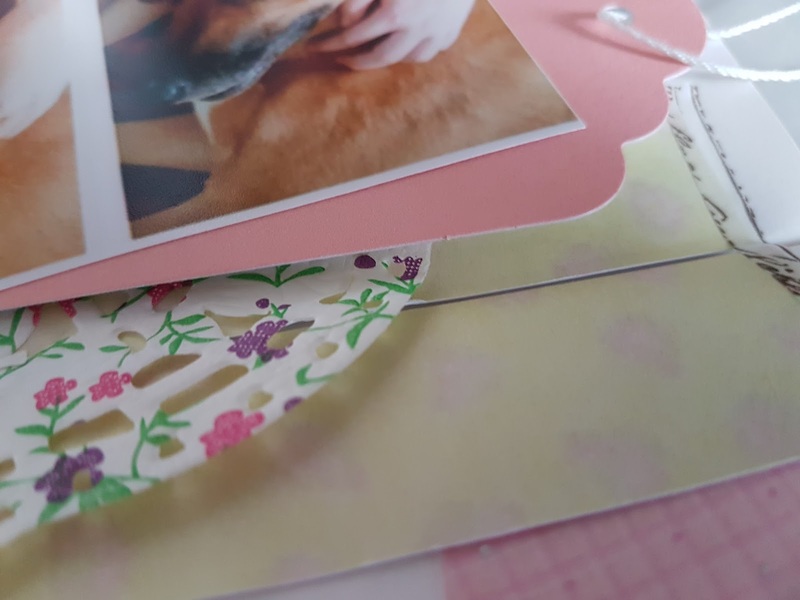 I created this layout for the Scrapping Fun Kits Bi-monthly Moodboard Challenge using my one of the Concept Kits I created when I first had the idea for a TN Kit and bits from my September Embellishment Kit. It came together quickly and was a lot of fun to create. 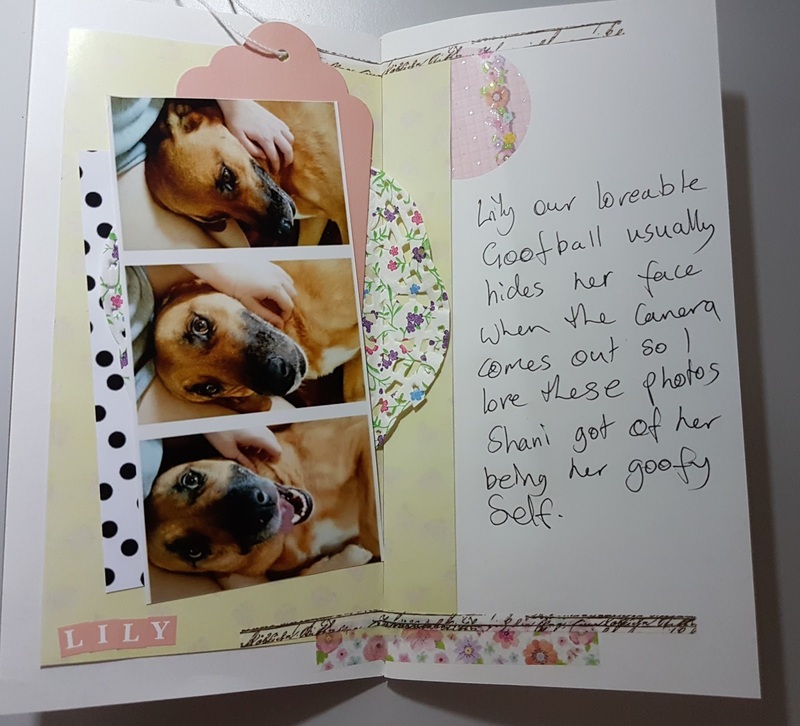 The lemon and peach paper from the September Kit worked really well with the other bits from my concept kit. I trimmed the paper so I had a small strip on the right hand page to carry the layout onto that page. The tag behind the photo is not stuck down so I can add more to it and use it as a pull out if I need to. It helped the pink/peach colour from the background paper pop a bit more. 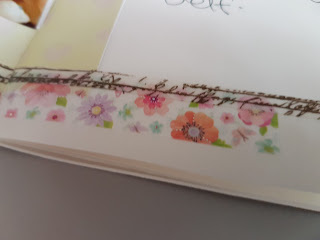 This gorgeous thin script washi spread over the 2 pages helped pull the 2 pages together. 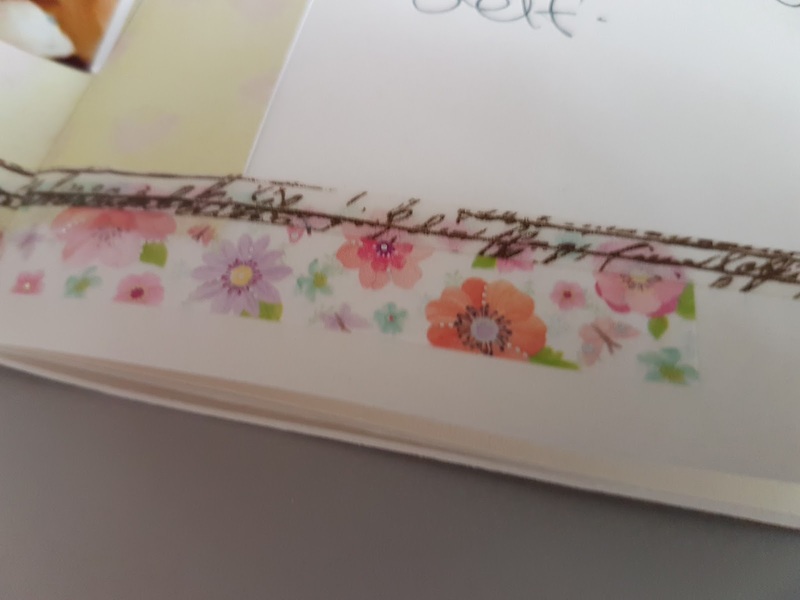 I also added this floral vellum sticker to the bottom spread over the 2 pages that matches the circle floral sticker at the top on the right with the washi to help pull it all together. 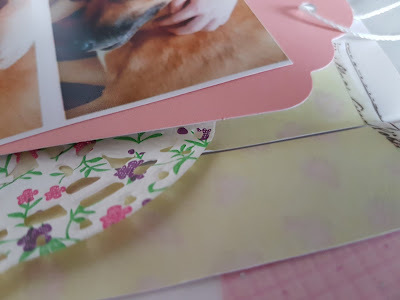 I am loving how quick and simple scrapping in a TN is, it is a great fun way to create and I look forward to having a more portable option to take with me on the tilt train than what I did last year. 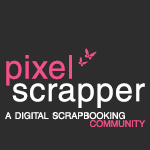 I have created a Pinterest board full of TN Scrapping Layouts, so if you would like more inspiration why not check it out, this type of scrapping I am finding is a great option for the time poor scrapper like myself. I'm loving the new smaller format of those Travellers Notebooks. Super cute puppy you've got there too. A double spread is like doing a 8x8 so a great size.